Kevin Green is a self-made multi-millionaire and social entrepreneur and an acknowledged expert in how to set up a profitable business. He is one of the UK’s largest residential property landlords and a multi-business owner. Before making his fortune in business, he was a successful dairy farmer, then in 1999, he won a Nuffield Scholarship in agriculture and studied the attitudes and personalities of high achievers. He bought his first property soon after, using credit cards to bridge finance the deposit of a buy-to-let mortgage. After quickly renovating it and selling it at a profit, he bought a second. The rest is history. Kevin knows everything there is to know about rental properties and how to let a property. Kevin continues to thrive in business and chooses to give back to the next generation of entrepreneurs by sharing his knowledge and wisdom of how to make money. 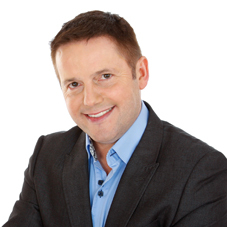 His talks include motivation, empowerment and coaching and he enjoys giving businesses and organisations an insight into what it takes to become successful in the business world.